"My 3 days in the desert was the true highlight of my trip to Iran. I felt very safe..."
"we traveled to Iran in autumn 2018 in a group of 3 people and it was a really exciting..."
"While we enjoyed the tour, it would be a stretch to say it was great. 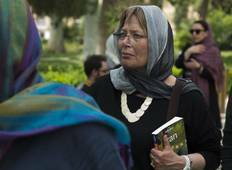 Iran is a beautiful..."
"Iran is a fascinating country and the people are just so welcoming. 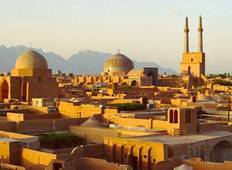 I would urge..."
"Had an amazing tour in Iran, and the guide was an archeologist who knew absolutely..."
"Iran is a fascinating country and I loved the opportunity to participate. Our guide..."
"It was a well organised tour with an excellent leader." "Well organized tour. We were well taken care of by our guide. Surfiran has been ensuring..."